As we approach the Sweet Sixteen, it’s no surprise to see some teams falter, as well as others getting hot at the right time. Even with some exciting upsets in the first round, 14 of the top 16 seeds are left, with Kansas State and Kansas being the two snubs. Red hot Auburn (a five-seed) and Oregon (a 12-seed) round out the field, though neither should be considered a “Cinderella” team. Now that the field has been narrowed to just 16 teams, many members of the media have begun to re-seed the 16 teams left. Tennessee fans may want to look away. After a narrow victory against 15-seed Colgate and a near historic collapse against Iowa, ESPN and USA Today have some definite concerns about the No. 2 seed Volunteers. ESPN has the Vols ranked 14th out of the 16 remaining teams, which would place them as a four-seed instead of a two. They cite the 25-point lead that was blown against Iowa, as well as the “defensive lapses” in the first two games. USA Today was even more harsh on the Vols, placing them at 15th, ranking UT only above Virginia Tech. Scott Gleeson of USA Today Sports provided his reasoning for why the Vols are seeded so low in his mind, stating that UT’s blown lead against Iowa and Admiral Schofield’s post-game comments sum up why the Vols are so low on his list. “The way we started the game, that’s the team we win (with). The way we finished the game, we can’t have that,” Schofield said after Tennessee’s 83-77 overtime win over Iowa. 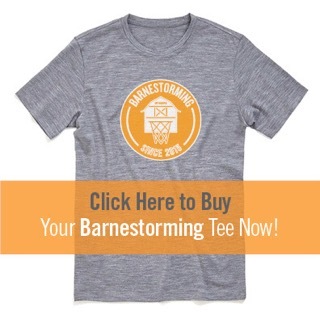 The lone supporter of the Vols was NCAA.com’s Andy Katz, who had Tennessee losing to Gonzaga in the national title game in his initial bracket. He still has the Vols listed at number 5 among the 16 remaining schools, staying pat at their original ranking. Katz mentioned in a video that it was worrisome watching Tennessee give up a 25-point lead, but he mentions the dominating overtime period by two-time SEC Player of the Year, Grant Williams. He also cites Schofield’s leadership and his vocal support of Kyle Alexander staying in the game late, with Schofield praising Alexander’s defensive presence and his own inability to properly defend with 4 fouls. It’s no secret that Tennessee has shown some definite flaws over the last three games, dating back to the SEC Tournament Finals against Auburn. 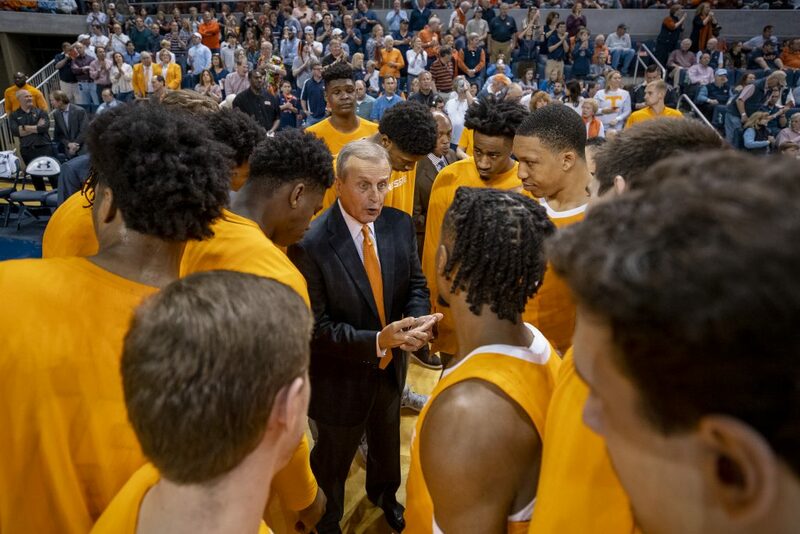 Defensive lapses and poor perimeter defense, as well as stagnant offensive sets and careless turnovers have led to some ugly moments for the Vols. But amidst these issues, the Vols have looked like a Final Four team at times. With four of their five losses this season coming to Sweet Sixteen teams, Tennessee has proven they are an elite team. If the offense runs through Williams and they play on-ball defense like they’ve shown flashes of, this re-seeding by ESPN and USA Today Sports will prove to be an overreaction.